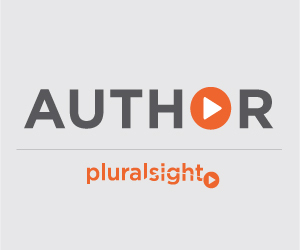 Performance – C++ and more! 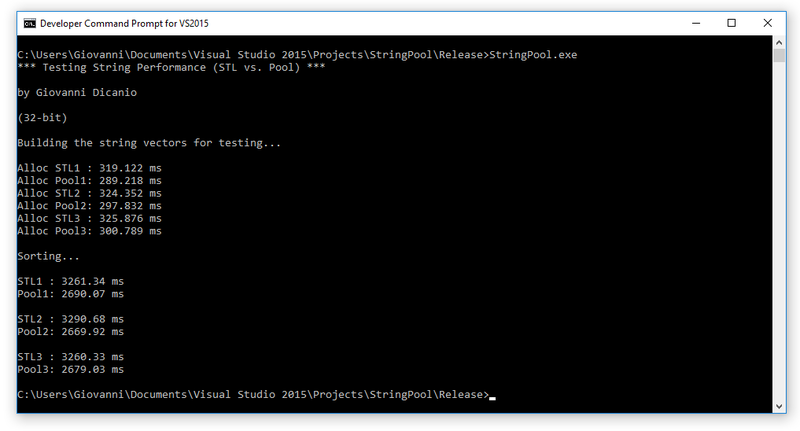 I’ve uploaded on GitHub some C++ code of mine, implementing a custom string pool allocator. The basic idea is to allocate big chunks of memory, and then serve single string allocations carving memory from inside those blocks, with a simple fast pointer increase. There’s also a benchmark comparing this custom allocator vs. STL’s strings. Custom string pool allocator benchmark results. 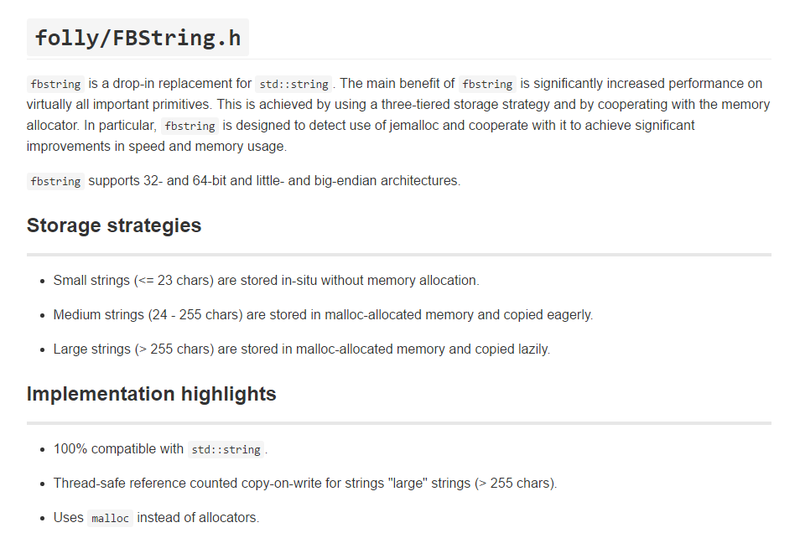 The results clearly show that both allocating strings that way, and sorting them, is faster than using the default std::wstring class. Another string benchmark, comparing sorting times of string vectors. 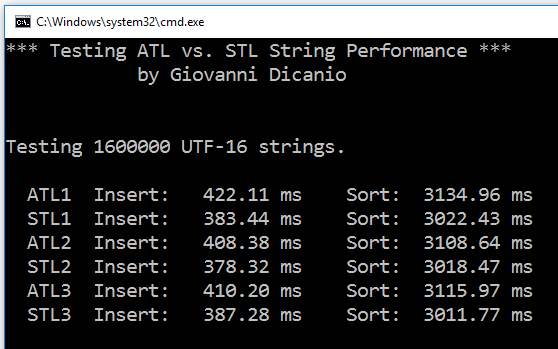 In 32-bit builds, ATL’s CStringW performs slightly better. 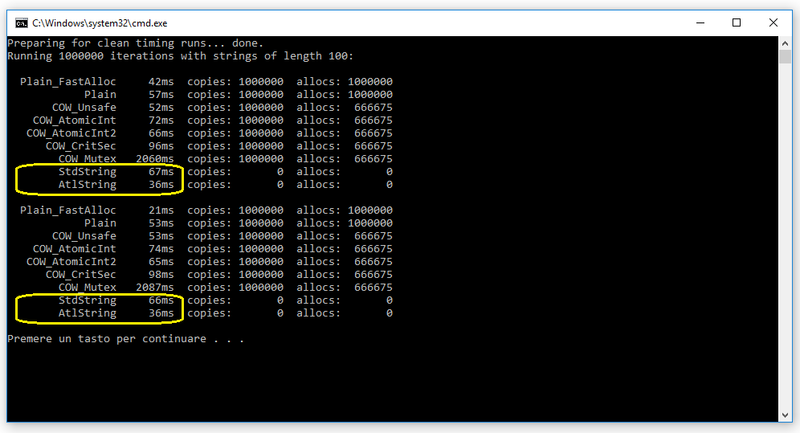 In 64-bit builds, STL’s wstring performs slightly better. 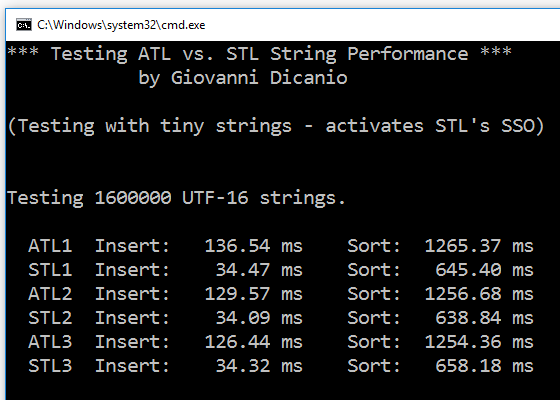 With small strings, STL’s wstring performs much better than ATL, thanks to the Small String Optimization (SSO). Raw wchar_t pointers show best performance. 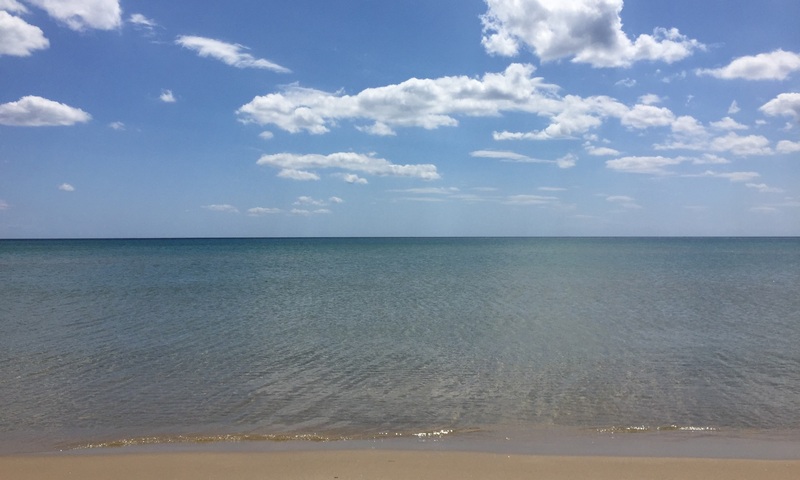 […] All in all, I’d be happy with the optimization level reached in #2: Ditch C++ standard I/O streams and locale/codecvt in favor of memory-mapped files for reading files and MultiByteToWideChar Win32 API for UTF-8 to UTF-16 conversions, but just continue using the STL’s wstring (or CString) class! In this MSDN Magazine article, I showed how to convert Unicode text between UTF-16 and UTF-8 encodings using direct Win32 API calls (in particular, I discussed in details the use of the MultiByteToWideChar API). In addition to that, the C++ standard library offers some classes to perform such conversions.